Hello Kitty is one of the many fictional characters produced by the Japanese company Sanrio, and has long been the most popular one out of the company's characters. The character is a very geometric, anthropomorphized white cat, with a distinctive bow or some other decoration on her left ear. Hello Kitty was originally created by Sanrio designer Ikuko Shimizu in 1974. Shimizu left the company about a year later. The second designer, Setsuko Yonekubo, took over for five years until 1980 when the task was given to Yuko Yamaguchi, who still holds the position. The character originally appeared on small novelties for young girls, such as coin purses. 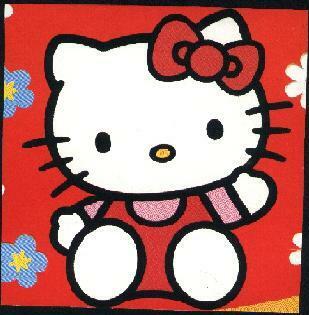 Hello Kitty was given an English name because British culture was popular with Japanese girls at the time of her creation. Kitty's name came from one of the cats that Alice kept in the book Through the Looking-Glass by Lewis Carroll. When Hello Kitty's boyfriend "Dear Daniel" was created in 1999, designers took his name from the 1971 film, Melody, which starred Mark Lester as a character called Daniel, and features songs by the Bee Gees. Hello Kitty's fictional world includes a whole array of friends and family members. Since 2004 she has even had a pet cat of her own called Charmmy Kitty, and a pet hamster called Sugar. Charmmy resembles Hello Kitty but has more cat-like features. 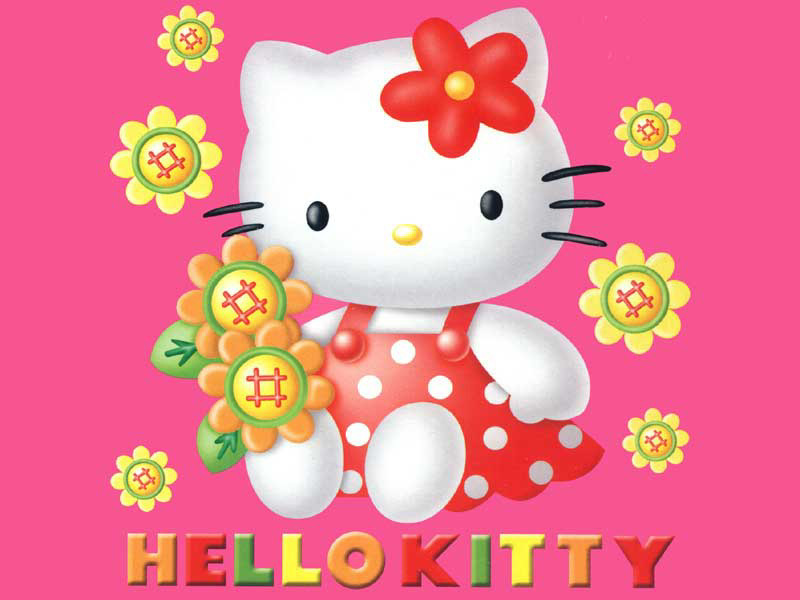 Charmmy Kitty was given to Hello Kitty by her father, George White, and Sugar by her boyfriend Dear Daniel.